Madrid, May 12, 2015. Gestamp Wind, wind power subsidiary of Gestamp Renewables, has avoided the emission of more than 464,000 tons of CO2, thanks to its more than 540MW of clean energy installed. Counting on the new wind farms that have come into operation in 2015, the company, specialized in the development, construction and operation of wind farms, has reached a total of 650 MW, according to its second Sustainability Report. Last year, Gestamp Wind was present in 9 countries with 21 operating wind farms located in Spain, Turkey, Brazil, USA, Puerto Rico and South Africa. Its priority is to continue growing in a sustainable and profitable manner, so in 2014 it began the construction of eighteen wind farms, that includes a farm in Poland, two in Belgium, thirteen in Brazil, two in Turkey and two mini hydraulic in Mexico. More than half started operating in early 2015. In 2014, initiatives that reinforce the commitment to human rights in the supply chain, formally including clauses on acceptance and compliance processes and supplier approval were carried out. The Sustanability Report also emphasizes that there is a growing workforce close to 6% and that 89% of employees have permanent contracts. Health and safety of employees and subcontractors are a key aspect in the development of the company. The rate of accidents that has been zero in 2014 is highlighted too. The contribution to society is an essential aspect for the company, so in 2014, the report stresses the creation of local wealth by spending 15.4 million euros on suppliers, the payment of more than 4,6 million euros in taxes and the job creation. Additionally, two of the most prominent projects developed in the communities in which the company operates are the funding of different initiatives in South Africa, such as the training in electrical and plumbing of 25 apprentrices and the expansion of a high school in Szerzawy, Poland. 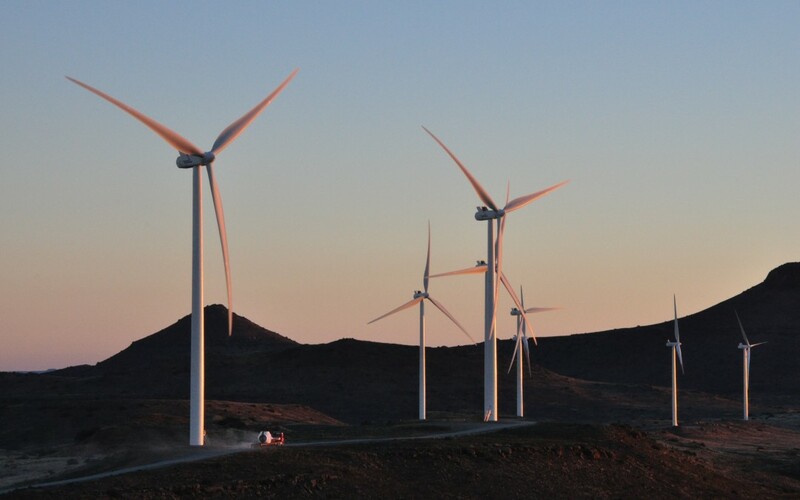 Gestamp Wind is the wind energy subsidiary of Gestamp Renewables, specialized in the development, construction and operation of wind farm projects in Europe, Brazil, USA, Turkey and South Africa. Gestamp Wind is one of the leading companies in the wind energy business and integrates vertically the development, construction and operation of wind farms. The company has more than 650 MW in operation, and a portfolio of advanced projects of over 1,400 MW in the different markets in which it operates.